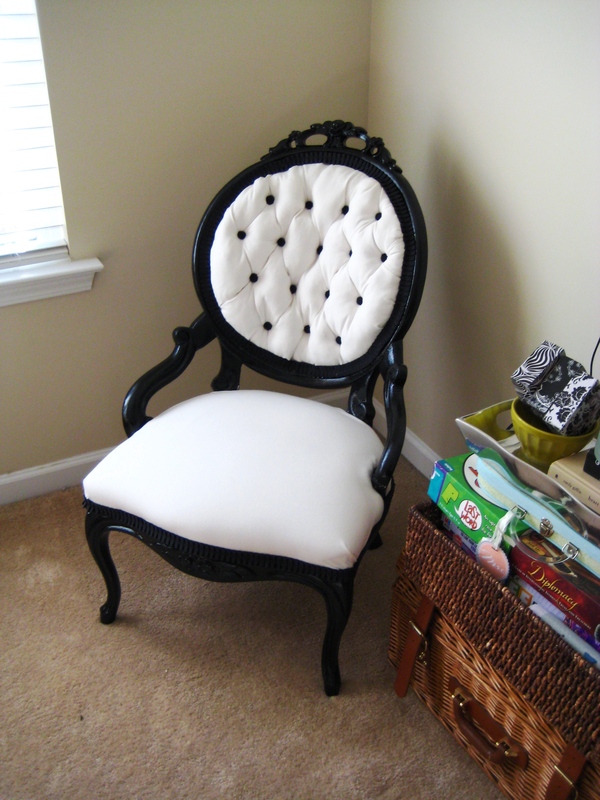 Today’s post is about a chair I have been reupholstering for a couple of months now. I started the project at the end of October and was delayed several times due to traveling, holidays, motivation, and lack of skill. I am happy to report that the chair is finally complete! 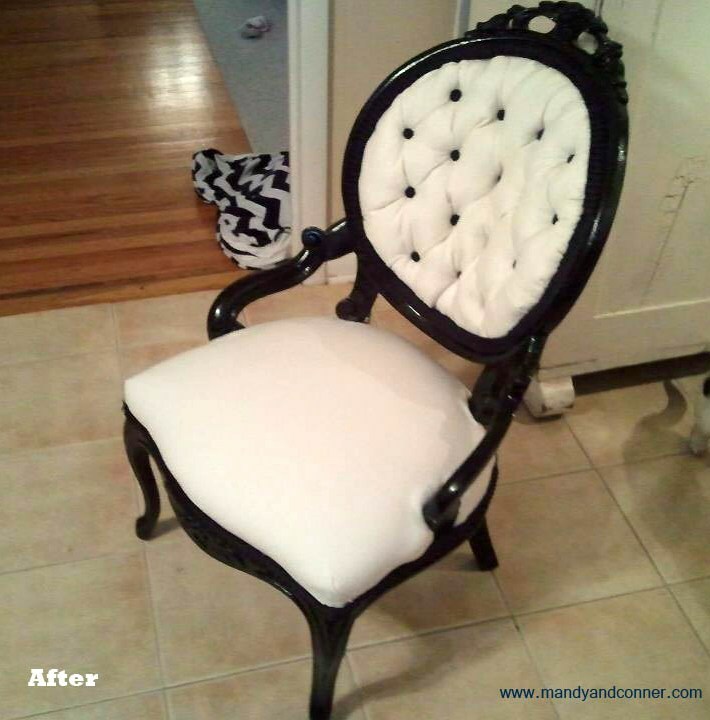 Check out the before and after below, along with the steps it took to take this chair to the next level. This chair originally belonged to my great grandparents but was being used by my little brother as a “catch all” in his room. While visiting my family I saw the chair and convinced him that it should belong to me and that he should carry it the my car for me 🙂 Got to love little brothers that love you no matter what. 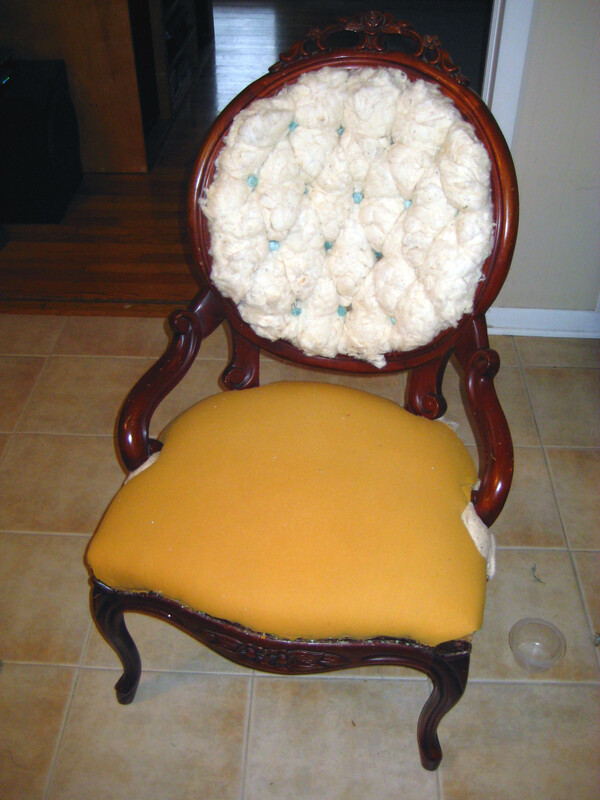 Being that this was my first reupholstering project, I wanted to minimize the risk of removing too much from the chair in fear of wishing I had never started the project to begin with. Along with never having reupholstered anything in my life other than a simple dining room chair, I also had no experience with a tufted seat. For a split second I thought about making the back solid rather than keeping the tufted look, however I challenged myself that I could do it and therefore kept all of the stuffing in place. I kept it in place to remember how it looked and minimize the pieces falling apart. This was a good plan until it took over 3 months to finish the project. 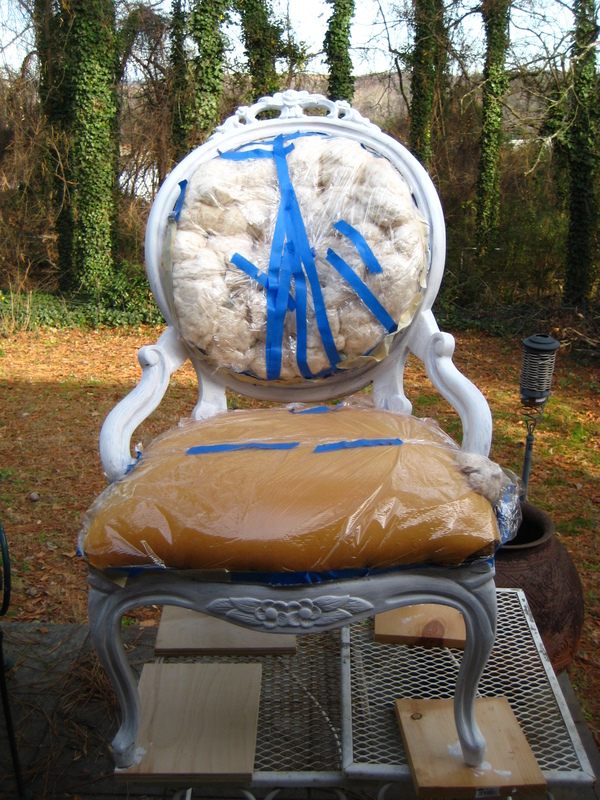 By January when it was finally time to paint the chair, all of the stuffing was falling and landing on the paint. I ended up just removing it so that I could focus on each diamond pattern at a time. The overall process was to strip, sand, prime, paint, and then reupholster. This was my first time using a sander. I am not very good with the sand paper so luckily the hubby helped me in this process. Truth be told that is part of the reason why it took so long to do the project because it took a few weeks to convince him to help me and then another few weeks for him to get around to doing it. Oh honey-do lists. After sanding we chose to prime the chair. Really this was so that we could skip over the sanding. It was my impatient nature kicking in and wanting to finish the chair so I just went ahead and primed it. I probably should have sanded it again, however I knew the primer would help the paint stick to the chair. After priming, it was on to painting. 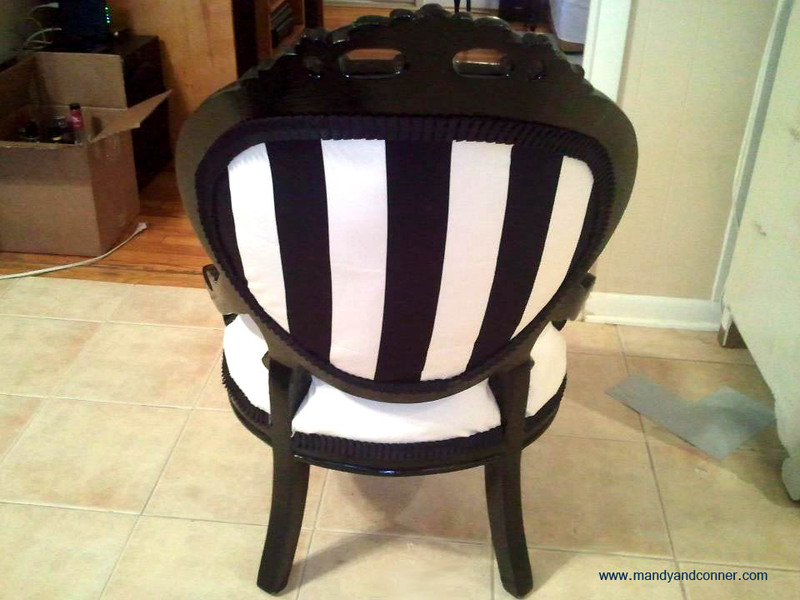 After applying two coats of black paint and allowing it to dry we were ready to reassemble the chair and created the tufted back. Luckily my sweet husband helped staple while I stretched the fabric. After stretching the fabric I just glued the trim along the edge to make it look pretty. Here it is after the 3 month process! 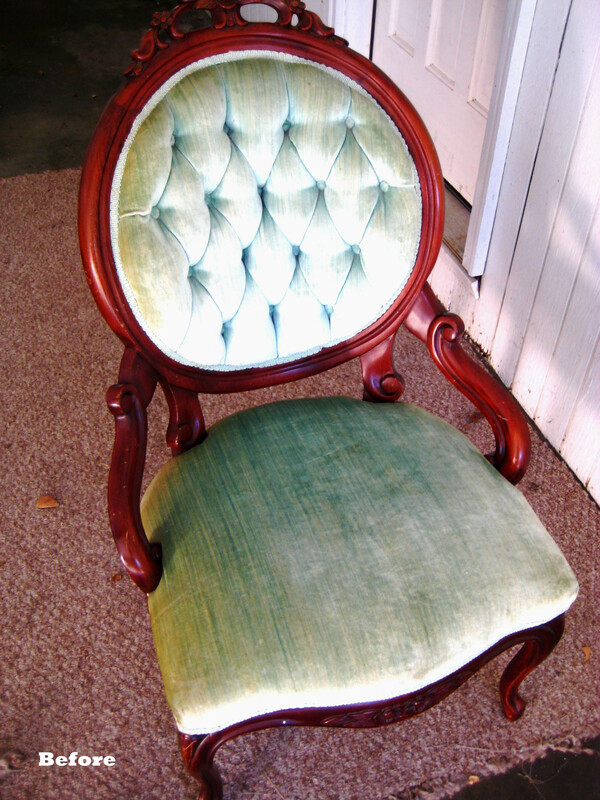 This entry was posted in DIY Projects and tagged chair, diy, reupholstery. Bookmark the permalink. Wow – this looks great! I have a channel back chair from my grandmother that desperately needs to be reupholstered. It’s been sitting in my house for two years & I just can’t bring myself to tackle it! You can do it! When you finish the chair I would love to see the pictures! Wow! The chair looks beautiful! I’m trying to work up the courage to reupholster a few chairs, but I’m not sure I have the patience for it! Thank you! Are you trying to reupholster the whole chair or just the cushions? Would love to see pictures once you finish. Stunning transformation. Thank you for sharing and linking up to Scraptastic Saturdays. 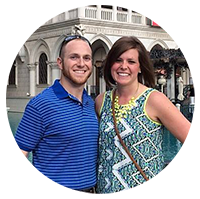 This post has been shared via Facebook, Twitter and Pinterest. Have a wonderful week.